How are you guys loving your new iPads? The improvements are just incredible. I’ve been cradling mine in my arms like a proud papa since the day I picked it up, and I’m pretty stoked to use it to help me with my travel plans this summer. I found some really cool iPad apps over at Market Watch, and I picked out a few of my favorites to test out for you guys. I think I should start with PackingPro because packing is always such a royal pain in the tookus. I love this app because it delivers a checklist of all the stuff I should bring on my trip. Normally, I’d use Evernote for something like this, but this app actually allows me to put in the type of trip I’m going on and suggests things I should bring with me. That kinda beats the pants off Evernote when it comes to trip preparedness. I can also identify which bag an item is in, so that when I want something, I know exactly where to find it. Next up we have TripAdvisor, a cool app that helps book hotel rooms, make dinner reservations, find area attractions--that kind of thing. While this app is useful for those things, I think I like it most because you can see tons of candid photos taken by other travelers. People are fun! 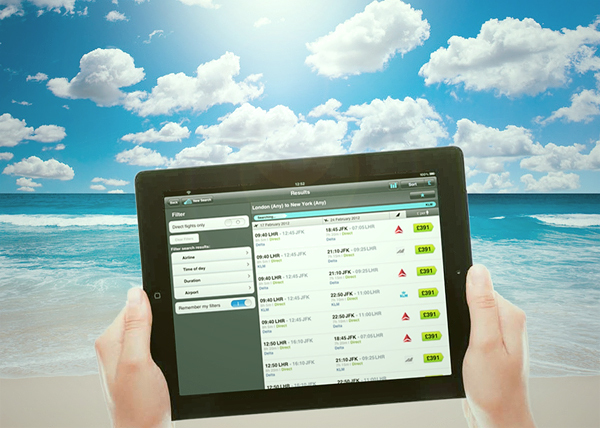 Skyscanner helps find and book a good deal on a flight by comparing millions of flights on over 1,000 airlines. You can find the least expensive date to fly and the least expensive destination to fly to. I cannot tell you how much I love this. In a few quick taps, I’m on my way somewhere fantastic and I’m getting a good deal while doing it. Urbanspoon is incredible and it’s actually something I use even when I’m not traveling so that I can find local hot spots. It suggests restaurants based on price range, type of cuisine, and neighborhood. When I’m feeling adventurous, I give my iPad a little shake and Urbanspoon gives me a random suggestion. I like to live on the edge, obviously. I don’t know about you iPhone Life-ers but I’m stoked for summer travel season. Is it too early to start applying sunscreen?